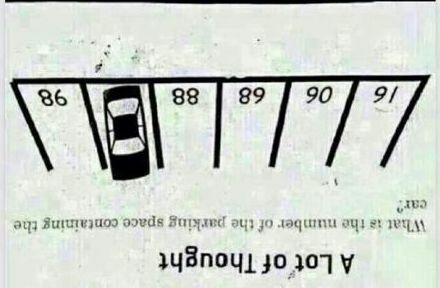 One of my favourite school time riddles! 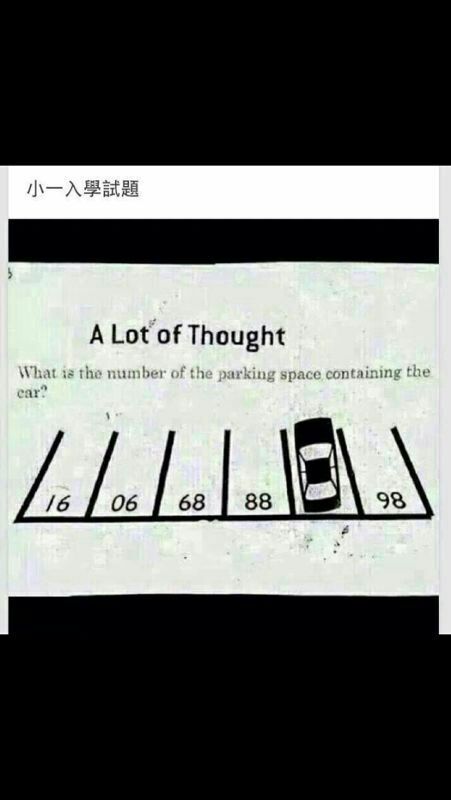 What is the number of the parking space containing the car? Not the answer you're looking for? Browse other questions tagged visual number-sequence sequence or ask your own question. What does this number sequence mean? The end of the life!